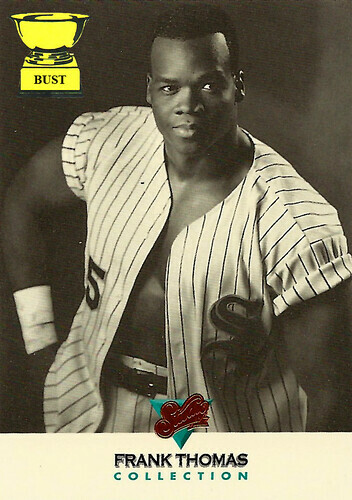 Kids, avert your eyes: Frank Thomas was king of Chicago in the early 1990s, bashing home runs, stealing the hearts of women and even disarming explosives. But the Big Hurt had a secret: During the offseason, he worked as a, ahem, dancer just for the thrill of it. Working under the pseudonym Thomas Frank, the slugger would put on a mask and then proceed to take off everything else for the ladies (and gents) who ventured into a dark and seedy Chicago club called The City of Big Shoulders and Bigger Other Things. His secret got out in early 1993, though, and his teammates decided action must be taken. Ozzie Guillen, George Bell and Ron Karkovice barged into the club one night while Thomas was on stage. Guillen started cursing at the slugger while Bell slung the half-bare basher over his shoulder and carried him to the car. Karkovice, however, took a seat and stayed behind.